Roofing Contractors, Roof, Repairs | Dallas, TX - Allied Roofing of Texas, Inc.
Dallas' Premier Roofing Contractor, Since 1950! Allied Roofing of Texas, Inc., delivers exceptional customer service with all aspects of Residential and Commercial roofing systems, along with Industrial and Churches and Private educational facilities. Installing a first-class top notch roofing system with the highest quality of materials for your satisfaction and protection. The new roof system installed by Allied Roofing, will give you a peace of mind knowing you have a strong and long lasting investment. 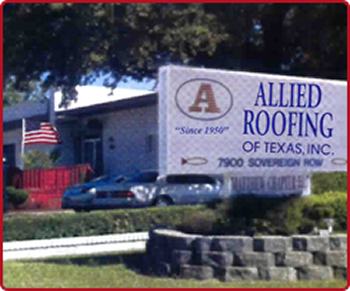 Allied Roofing of Texas, Inc. has been serving the Greater Dallas/Ft. Worth and Surrounding areas for over 50 Years. Allied Roofing, is certified to install Commercial, Industrial, Churches and Residential roofing systems. Our 50 Years in the roofing industry in the Dallas/Ft. Worth area provides us a great advantage with unmatched roofing knowledge that delivers a great product and roofing system for you and your investment. Our customer-driven approach to roofing services is how we maintain our leadership role in the roofing industry. 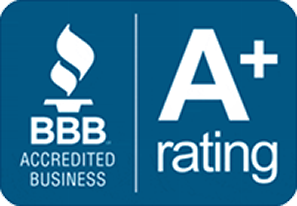 Allied Roofing of Texas, Inc. is a member of the Dallas Better Business Bureau with A+ rating, Dallas Chamber of Commerce, Roofing Contractors Association of Texas, and North Texas Roofing Contractors Association. and many more. Thank you for your interest. For questions or comments, please use the information listed here. We look forward to hearing from you soon. Have a great day! Matthew 7:V7 - "GOD BLESS AMERICA"